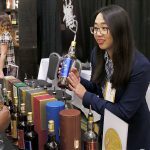 Brooklyn-based Widow Jane will be pouring up its 10 year old single barrel straight bourbon at WhiskyFest D.C.
WhiskyFest D.C. happens on April 17th, when whisky lovers of all stripes will have the chance to try hundreds of amazing whiskies, ranging from amazing scotch and bourbon to exciting new Irish and craft whiskeys. 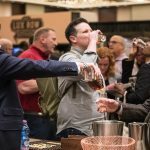 As befits an event in our nation’s capital, craft whiskey distillers from all across the country will be pouring their wares at the event, so if you’ve ever been curious about the exciting new styles of whiskey being made outside of Kentucky and Tennessee, WhiskyFest is the perfect time to start exploring. Here are a few of our top picks. 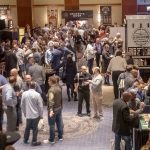 Be sure to check out the full list of pours, as well as our guide to getting the most out of WhiskyFest (don’t forget the seminars!). And if you don’t have your tickets yet, get them here! George Washington may have put down the Whiskey Rebellion—the only time in U.S. history that a sitting president has personally led an army—but that doesn’t mean he didn’t like whiskey. In fact, he made the stuff, and was one of the largest distillers of his time. Today, George Washington’s historic Mount Vernon estate is home to a working distillery that makes rye whiskey and other spirits using authentic 18th-century methods. The distillery will be pouring its 2 year old straight rye and (for VIP ticket holders) its 4 year old premium straight rye at WhiskyFest. 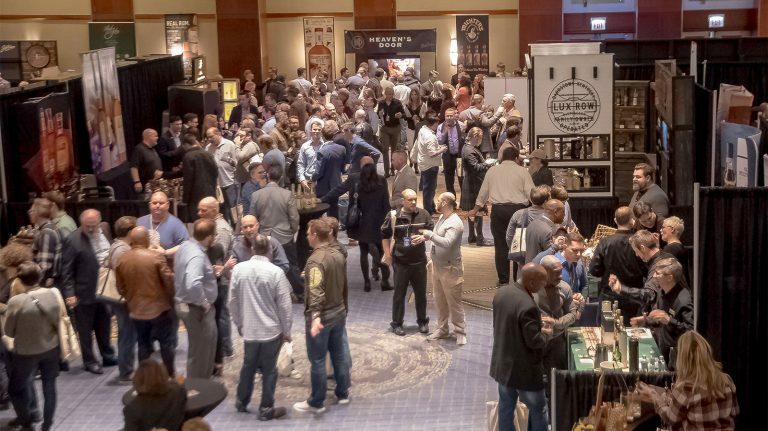 One burning question, however, won’t be answered until WhiskyFest itself: Will the distillery’s representatives be wearing traditional colonial garb? 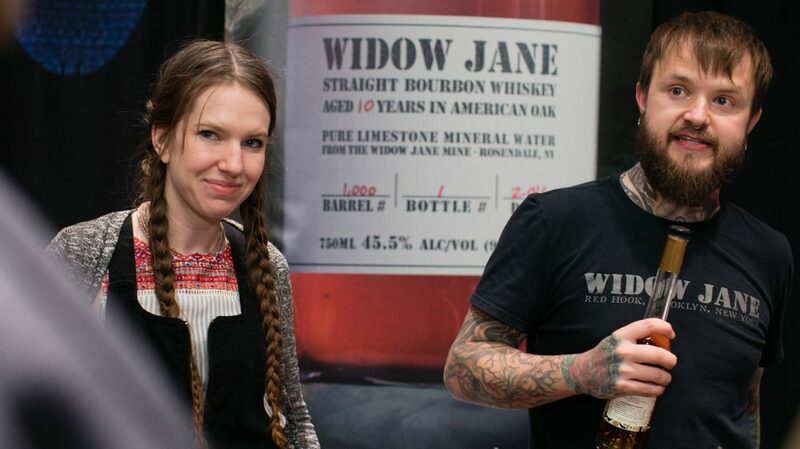 Brooklyn-based distillery Widow Jane entered the political spotlight recently when Senate minority leader Chuck Schumer gave a bottle of its whiskey to Senate majority leader Mitch McConnell, saying that it was distilled right around the corner from his apartment in Brooklyn. 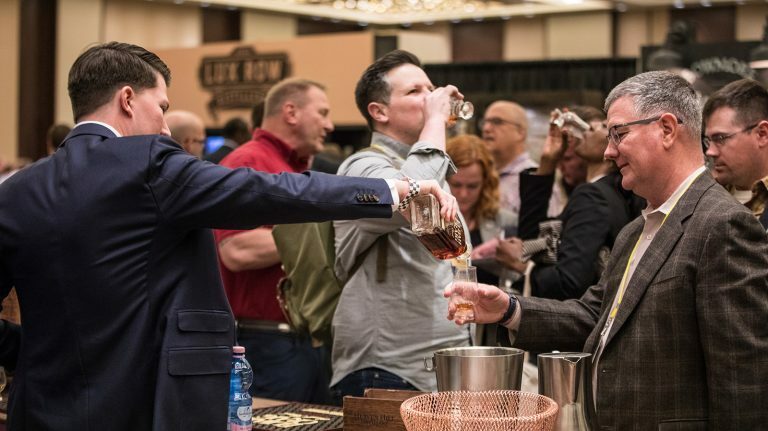 McConnell countered that “there’s no such thing as Brooklyn bourbon.” Like many political debates, neither side had it completely right: bourbon can be made anywhere in the United States, including New York. But, although Widow Jane does distill its own whiskey in Brooklyn, most of it is still aging and only released in limited quantities. The bottle Schumer gave to McConnell was actually distilled in Kentucky, but cut with New York State water and bottled in Brooklyn. That doesn’t make it any less delicious: try the Widow Jane 10 year old single barrel straight bourbon and see for yourself. Based in Evanston, Illinois, FEW Spirits brings a Midwestern take to more traditionally Southern distilling traditions. FEW Bourbon and Rye don’t taste quite like Kentucky bourbon and rye—but, since they’re made entirely in Illinois, they aren’t supposed to. Try both to see how even classic styles of whiskey can vary based on where and how they’re made. It’s a clear sign that the diversity of craft whiskey is here to stay. Distillation is just one small part of making a great whiskey. Blending is at least as important, and among craft whiskey producers, Utah-based High West has made a name for itself as a blender par excellence. Try their Double Rye!—a blend of 2 year old and 16 year old rye whiskeys—and Rendezvous Rye, made from ryes ranging from 5 to 19 years old. If you’ve got a VIP ticket, be sure to taste Yippee Ki-Yay or the cult favorite A Midwinter Night’s Dram, which both use wine barrel finishing to further accentuate spicy rye flavors. Under the tutelage of master distiller Dave Pickerell, Hillrock Estate has pioneered the use of a Sherry-style solera system for aging whiskey and produces bourbon, rye, and single malt using estate grain. Some of the distillery’s whiskey is sourced; some isn’t—but the solera evens out the differences over time. Try the hard-to-find Hillrock Single Malt and Sauternes-finished Double Cask Rye, or sip on the classic Solera-aged bourbon to see what a difference the classic blending method can make. Hudson pioneered the practice of aging whiskey in small barrels and was one of the first craft whiskeys to gain a large following. In fact, the distillery helped champion New York’s farm distilling law, which has inspired dozens of other distilleries in the state. Now owned by William Grant & Sons, parent company of scotches like Balvenie and Glenfiddich, Hudson still makes all its whiskey upstate at the historic Tuthilltown gristmill. 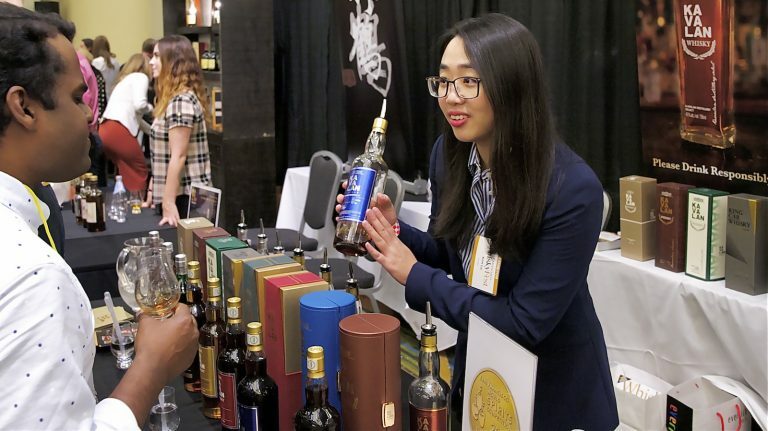 The distillery will be pouring several of its whiskies at WhiskyFest, but be sure to try the Maple Cask Rye, which is finished in ex-Hudson barrels that were then used to age Vermont maple syrup. The maple sweetness adds a distinctly Northeastern touch to the spicy rye whiskey. Craft whiskey is being made everywhere in the country, and that includes Kentucky, bourbon’s historic heartland. Limestone Branch was founded by Steve and Paul Beam—yes, of those Beams—to bring their branch of the family back into the distilling business. Limestone Branch is both sourcing whiskey and making its own. You can taste the combination in the 2017 Yellowstone Limited Edition Kentucky Straight Bourbon, a blend of sourced whiskey and the first of the distillery’s own 4 year old juice. Based in bucolic Middlebury, Vermont, WhistlePig helped reintroduce top-quality rye whiskey to a new audience. Try the 10 year old straight rye and Old World, a 12 year old rye finished in madeira, sauternes, and port barrels, both made from well-aged source liquid. Also taste FarmStock, a blend of sourced whiskey and the distillery’s own Vermont-made rye, and the company’s first release that includes whiskey it distilled itself.